We are proud to be serving over two dozen members in our Spark family across British Colombia. Any Spark customer becomes part of our growing community and support system for continuous utilization of their Spark Laser machine. Our smallest CNC router with a working area of 60cm x 90cm x 15cm. Equipped with a 3kw HSD spindle, tool sensor, HIWIN rails and much more. Open bed design CO2 laser machines. Available in standard CO2 and Hybrid model. Ideal for large scale production. The SP-13009SM is one of our most capable machines. The SP-13009SM is able to process metal and non-metal material for both cutting and engraving processes. One of Spark Laser's most popular modes, the SP-9006S provides the capabilities of a large machine in a smaller footprint. featuring a working area of 90cm by 60cm and can fit up to 100watt laser system. Additional accessories available. Spark laser's desktop laser. This machine comes with high quality linear square rails, laser limit sensors, touch screen display and much more. With a working area of 40cm by 30cm and a 40watt laser, the SP-4003G is the perfect engraving machine. SP-6004S is the smallest standalone CO2 laser offered by Spark laser. This machine is equipped with all the same components and capabilities as the SP-9006S but in a even smaller foot print. 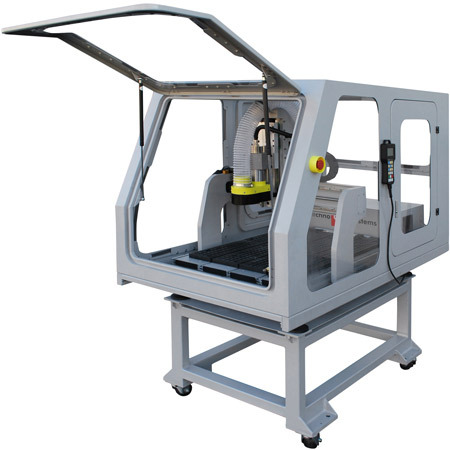 Featuring a working area of 60cm by 40cm and a 80watt laser system. Desktop 2D and 3D fiber laser marker. Equipped with state of the art galvanomter system and the best fiber laser sources available, the SF-20 can engrave any metal with extreme precision and speed. CO2 Galvonometer marker system ideal for high speed non-metal precision engraving. At Spark, our philosophy is that tools should be easy to use. Hence we offer our customers a complimentary training session, a manual accompanying the specific unit of interest and three months of technical support. Not sure which machine suits your business or interests best? We offer our clients free machine testing! Feel free to bring materials of your choice to our workshop in order to gauge whether our machines fit your desired specifications. We offer an array of varying attachments for our machines, in order to suit your needs better. Our machines can be ordered with accessories such as: Rotary Attachments for cylindrical items, Vector Grids for reduced backside burning of certain materials, Optional Lenses for specific material uses. We offer our costumers a complimentary training session and a descriptive manual accompanying the specific unit of interest. We have a team of dedicated engineers ready to offer technical support for any of our services to maintain satisfaction of our costumers. Our laser machines use Hermetically sealed CO2 glass tubes to generate powerful laser beams. Combined with the heavy duty stepper motors that allow for precision levels of <0.001mm for all materials. All Spark laser machines come with 3 months of SparkWarranty and 1 year manufacturer warranty. SparkWarranty covers every aspect of the machines, we guarantee your machine being in peak condition for you to use. Manufacturer warranty is also processed through spark and additional extended SparkWarranty is available. Our machines come with everything required accessory to get our customers started and working, that includes training and initial calibration by the Spark team. When you buy a machine from Spark, you join the Spark family, and we will always make sure you are happy with your purchase. *Light shade of grey: Foil thin material only. The end result is some nicely cut 1/8th aluminum panels! How fast is your laser? Just a little high res engraving for a customer! Spark Laser is based out of Vancouver, B.C., Canada. We offer our clients and customers Canadian professionalism and customer service. Working around the clock to meet your demands. We at Spark believe in giving back to the community. That is why we have committed to donating 5% of our sales to charity. We would really appreciate your feedback and recommendations! Your email address is not required, but we would love to hear more from you!